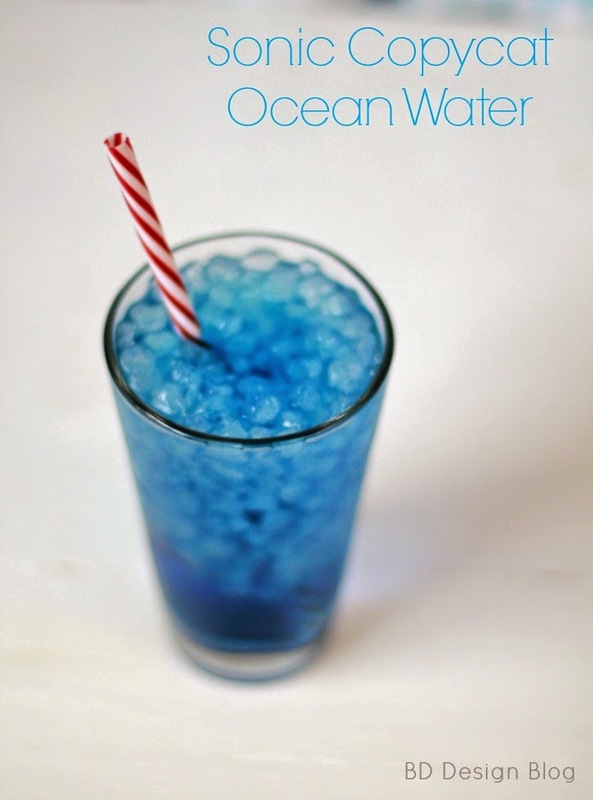 Sonic Ocean Water is easily becoming my go-to drink for family get together’s! Do you have a Sonic close to you? Sonic is famously known for their yummy drink concoctions. If you happen to pass by a Sonic drive thru from the hours of 2 pm-4 pm, you will most likely see a lane of cars waiting patiently for one of their delicious drinks. I hate to admit this bit I am a Sonic happy hour junkie! It’s true and my new favorite drink is their OCEAN WATER! Have you tried it yet? If you are wanting a refreshing drink for your next BBQ with friends or just a cold drink by the pool, this is your drink! 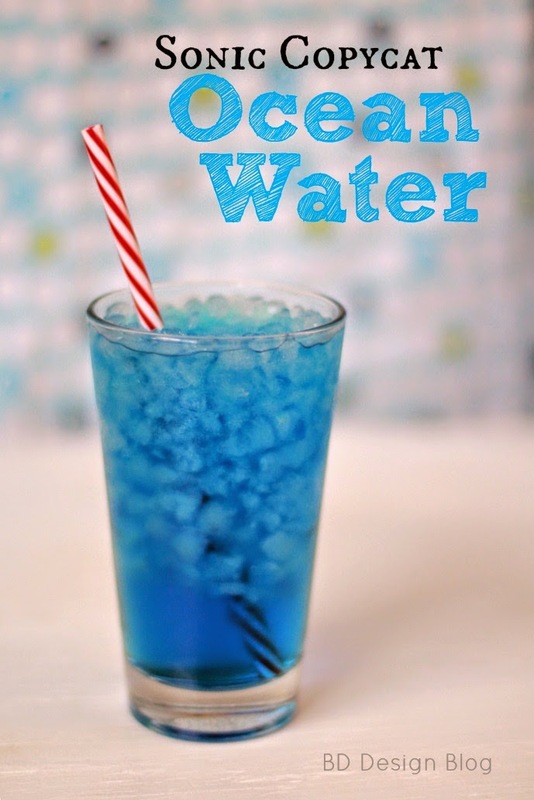 Sprite and coconut flavor are the stars of this drink! If you would like a diet coke version of this drink, try this dirty diet coke recipe. I think there is just something about drinking a blue drink- it’s so summery and beachy! Because of the colors, this would be an AWESOME 4th of July drink. Just add a red and white straw and you’ve got yourself the most patriotic drink! Combine sugar and water in a microwavable bowl and heat for 30 seconds. Stir until a syrup like consistency. 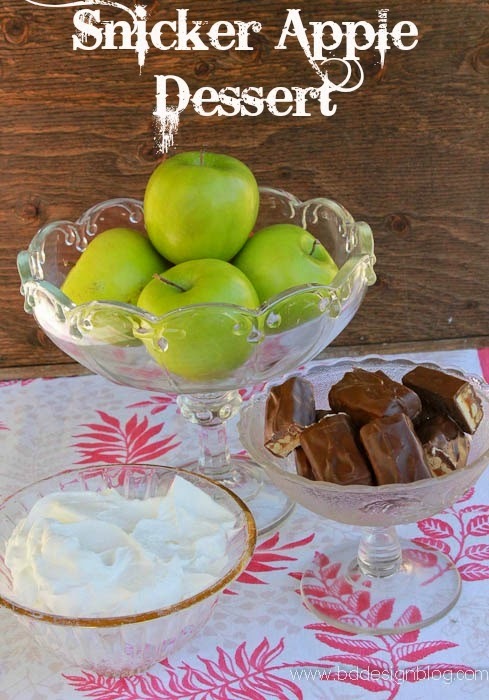 Allow to cool, then add the coconut extract and food coloring. Mix well. Pour your syrup over your iced Sprite and stir. See how easy that is? No more waiting in that long line of cars at Sonic, now you can make at home. Enjoy!! This drink looks awesome! We don't have Sonic's in Massachusetts, however we recently took a trip to Pennsylvania and they were everywhere. We finally got to try one. Sat there for about 10 minutes trying to decide which drink/ice cream we all were going to get! That drink needs to get in my belly– now! Pebble ice is the bees knees and this drink sounds delicious!